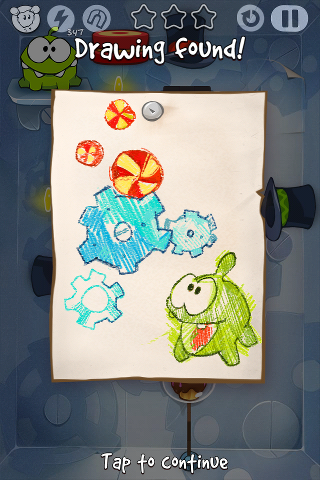 A 21st "Om Nom Drawing" (shown in above screenshot) has been added in ver. 2.5 of "Cut The Rope". 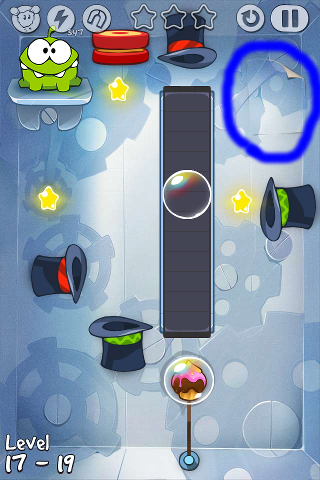 (For Android players) The new hidden drawing should be in the same Level 17-19 but the exact location could be different. The NEW game element is a conveyor belt which you can use to drag objects placed on it to move them to new positions.